Chinese smartphone vendors Huawei and Xiaomi have helped drive global smartphone sales preventing the industry as whole from declining in the third quarter of 2018, according to Gartner. “If we had taken both Huawei and Xiaomi out of the global smartphone vendors list, smartphone sales to end users would have declined by 5.2 per cent,” said Anshul Gupta, research director at Gartner. 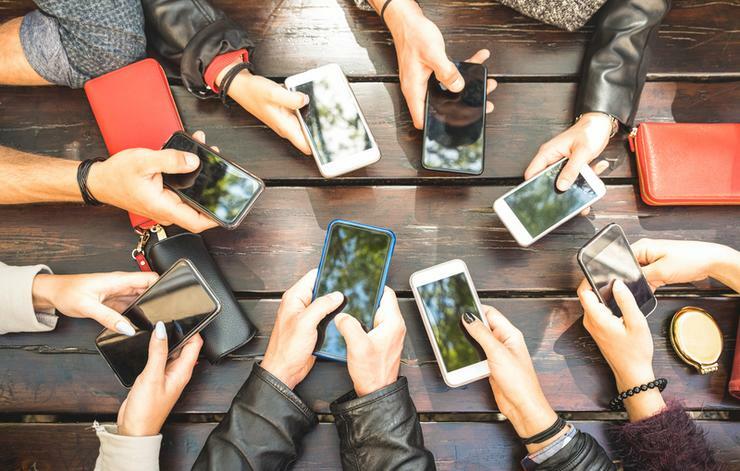 Rather than declining, worldwide sales of smartphones grew by 1.4 per cent in the third quarter of 2018 to reach 389 million units supported by the growth of Chinese vendor’s Huawei and Xiaomi. “Led by low-price smartphones, enhanced camera features and high-quality resolution displays, top Chinese mobile phone manufacturers boosted their sales across emerging markets in the third quarter of 2018,” added Gupta. Bucking the trend of slowing smartphone sales for most mobile phone manufacturers, Huawei saw demand for its smartphones grow by 43 per cent in the third quarter of 2018, remaining the number one smartphone brand in Greater China and in the top three among many European markets. “The gap between Samsung and Huawei continues to shrink, as Huawei expands aggressively by investing in branding and distribution in the emerging markets of the Middle East, Asia Pacific and Africa,” said Gupta. “Huawei is, for example, aggressively positioning its affordable Honor series smartphones to drive the shift from feature phones to smartphones in those markets." However, Samsung has seen its popularity as a smartphone manufacturer decline by 14 per cent in the third quarter; its biggest decline since Gartner began tracking smartphone sales globally. The newly introduced Galaxy S9, S9+ and Note 9 by Samsung have struggled to revive demand in 2018 whilst its revamped midtier and entry-tier smartphones have continued to face increased competition from Chinese brands such as Huawei and Xiaomi. These brands have leveraged their resources to grow their market share across key markets, such as India and regions outside of the Asia Pacific region, taking away opportunities from Samsung. On the hand, Apple grew by just 0.7 per cent during 2018’s third quarter, facing increasing competition from Chinese manufacturers. “Apple’s iPhones are facing a saturated premium smartphone market, with slowing growth rates and increased competition in China,” said Gupta. “Apple’s new flagship smartphones, announced in September, will be key to defining Apple’s overall iPhone unit sales in 2018. "Initial channel checks suggest that the Xs Max is outselling the Xs model, and we also see the Xs Max as a critical addition for the Chinese market where Apple has been losing share." In Southeast Asia, Chinese brand Xiaomi has surged in popularity across Indonesia, according to IDC, growing from just three per cent in the second quarter of 2017 to 25 per cent marketshare in the second quarter of 2018, second now only to Samsung in overall sales. Xiaomi has primarily opted for a growth strategy that leverages an internet-centric approach, conducting regular flash sales through e-commerce partners, mobile gaming, and continuous support to its fanbase community, which has proved popular in Indonesia's highly competitive market. With declining sales globally, business as usual is no longer sustainable. New technologies will need to be leveraged and more effort by manufacturers to innovate to capture end-users imaginations one again. Emerging technologies such as 5G and foldable form factors, for instance, have the potential to provide significant differentiate in the market and generate new user value. However, several vendors, such as Samsung, Huawei and LG, are expected to launch new foldable form factors in 2019. “Beyond the initial interest these devices will be expensive and with usability trade-offs initially,” added Cozza. “It will take time for vendors to build a strong ecosystem of software, and to get developers on board to generate attractive and innovative user experiences around foldable smartphones."